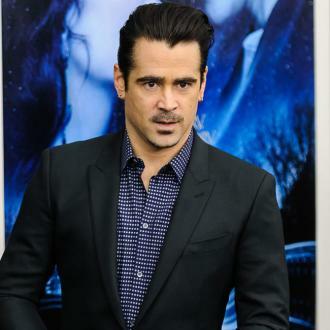 Colin Farrell (born May 31, 1976) is an Irish actor who has appeared in a string of Hollywood films including Daredevil, Miami Vice, Minority Report, Phone Booth, Alexander and S.W.A.T. 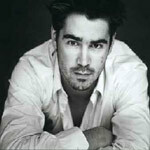 Early life: Colin Farrell was born in Castleknock, Dublin. He attended The Gaiety School of Acting, but dropped out and was cast in the part of Danny Byrne on Ballykissangel, a BBC television drama. Career: After Ballykissangel, Farrell had a number of small parts in various TV shows and films and then in 2000, he was cast in the lead role of Private Roland Bozz in Tigerland. He then went on to feature in a few commercially unsuccessful films, but 2003 proved more fruitful. Roles in Phone Booth, S.W.A.T. and The Recruit were all well received box office successes. Farrell has also proved a successful supporting actor, giving well received performances with Tom Cruise in Minority Report (2002), and as Bullseye in Daredevil (2003). After Daredevil, Farrell went on to appear in the title role of Alexander the Great in Oliver Stone's 2004 biopic Alexander, which received mixed reviews the world over. Move forward to 2006 and success would enter when Colin appeared opposite Jamie Foxx in Michael Mann's action-crime film Miami Vice. The film was a box office success grossing a total of $163,557,986 worldwide. Building on the success of Miami Vice, Farrell featured in Woody Allen's Cassandra's Dream in 2007 and Martin McDonagh's In Bruges in 2008, both garnered positive reviews. Personal life: Farrell married English actress Amelia Warner in July 2001 and divorced her four months later. Farrell has a son, James (born September 12, 2003), with American model Kim Bordenave, from whom he has since separated. In December 2005, Farrell voluntarily checked into a rehabilitation treatment centre for addictions to recreational drugs and painkillers. Celebrity status: Farrell was named one of People Magazine's "50 Most Beautiful People" in 2003. He was also voted 6th in the World's "Sexiest Man" contest by Company Magazine in that same year. Trivia: His dad was a footballer who played for Shamrock Rovers FC. Colin was a promising young football player for Dublin team, Castleknock Celtic, as a goalkeeper. Farrell auditioned for the Irish group Boyzone when he was still unknown, but was unsuccessful. He made a guest appearance on the US sit-com Scrubs as Billy, a charming Irishman who accompanies a man who he knocked out in a fight. 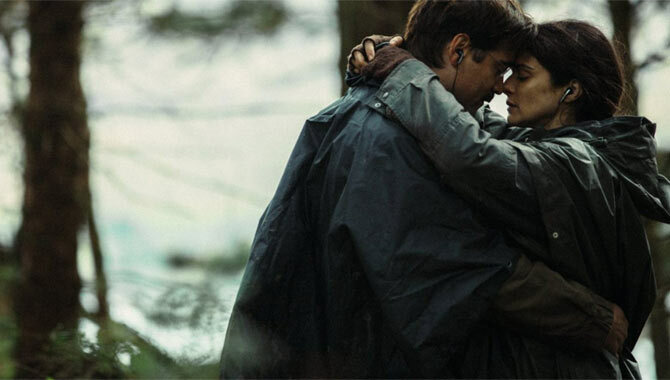 Greek filmmaker Yorgos Lanthimos reteams with his The Lobster star Colin Farrell for another offbeat thriller with surreal twists. While this film has a bit less of the supernatural weirdness, it's a far darker story, verging on horror as it pushes its characters into a seriously messy exploration of the morality of revenge. In the end, the message might be a little unclear, but it's a rare film that has the power to leave our heads spinning. It's set in Cincinnati, in middle America, where cardiologist Steven (Farrell) has finally conquered the alcoholism that threatened his career. His loyal wife Anna (Nicole Kidman) helped him through this, along with their teen daughter Kim (Raffey Cassidy) and younger son Bob (Sunny Siljic). Now Steven is secretly meeting up with the 16-year-old Martin (Barry Keoghan), son of a patient Steven lost on the operating table. As they become friends, he introduces Martin to his family, and things take a strange turn as Martin's plan for vengeance begins to target Kim and Bob. And Steven and Anna are terrified when they think about what has to happen for Martin to feel like they're even. With big moral questions that continually touch a nerve, the film sometimes feels like a particularly deranged Twilight Zone episode. And it also has a powerful emotional resonance, because the characters are so easy to identify with, including Martin. And since the actors underplay their roles, we can't help but put ourselves in their shoes. Farrell and Kidman find a terrific blend of vulnerability and tenacity in their roles, bringing these frightened parents to vivid life. Cassidy and Suljic are also excellent as intelligent children caught up in what to them is an inexplicable nightmare, while Keoghan steals the film with a casual intensity that becomes increasingly freaky without ever tipping over the top. 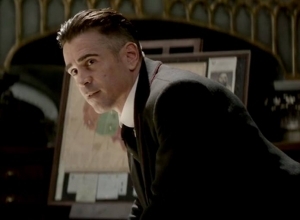 Colin Farrell only allowed his children to watch him in 'Fantastic Beasts and Where to Find Them'. The 41-year-old actor has admitted he didn't let his sons Henry, eight, and James, 14, tune into any other film he has starred in except for the 2016 fantasy movie, in which he portrays Percival Graves. Speaking to TimeOut magazine, he said: ''[They've seen] very few of my films. 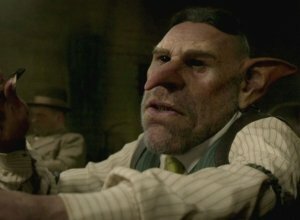 'Fantastic Beasts' was actually the first time they could watch something, which was cool. He is enjoying immersing himself into small arthouse films. For the absurdist thriller The Killing of a Sacred Deer, which won Best Screenplay at Cannes Film Festival, Colin Farrell reunites with The Lobster filmmaker Yorgos Lanthimos. Thinking back to how they first met, Farrell laughs that he wasn't Lanthimos' first choice for the latter movie. "There was another actor that was going to be in The Lobster originally," Farrell says, "a really lovely actor whose work I really like. And I think his schedule got screwy and I capitalised! But when I first read The Lobster, I couldn't understand how anyone could say this s**t and make it believable. But in a good way! And now Yorgos is foolish enough to come back to the well for the second time." In her inimitable loose style, Sofia Coppola remakes the 1971 Clint Eastwood movie from a distinctly feminine perspective. Like her other films, this feels loose and sometimes aimless, demanding that the audience find their own way through the story. It's also a remarkably effective gothic thriller, darkly playing on the vulnerability and innate power of women. 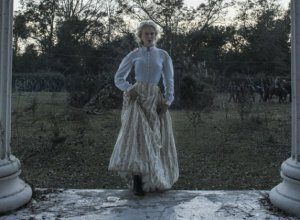 It's set in 1864 Virginia, where the residents of an isolated girls school can hear the Civil War raging in the distance. 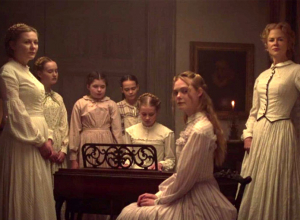 Teachers Martha and Edwina (Nicole Kidman and Kirsten Dunst) and students Alicia, Jane, Amy, Marie and Emily (Elle Fanning, Angourie Rice, Oona Laurence, Addison Riecke and Emma Howard) have just been getting on with their education in their cocoon-like plantation. 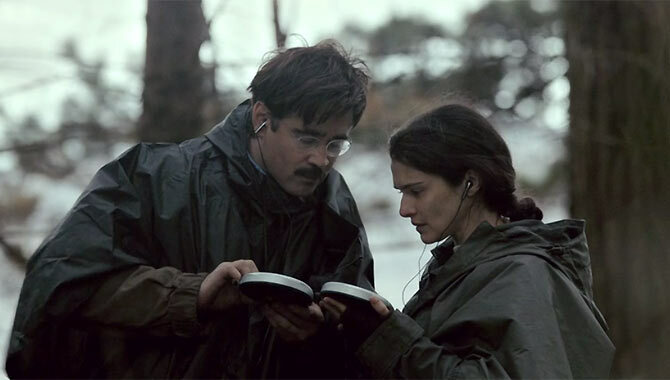 Then Amy discovers wounded Union soldier John (Colin Farrell) in the woods. With their own male relatives dead or missing in the war, all of these women are fascinated by this man, an enemy who needs their help. So each begins flirting with him in her own way. But as John considers staying on as a handyman, he's unaware of the jealousies he is igniting around him. The actors give provocative, layered performances, subtly revealing their internal desires as they interact in unexpected ways. Kidman is the focal point as the stern Martha, trying to remain stoic and in control even as she feels lust for this interloper. Dunst's Edwina is more openly romantic in her approach, while Fanning's Alicia is old enough to desire him in unfamiliar ways. The younger four girls stay mainly on the sideline, even as they add their own layers of intrigue. 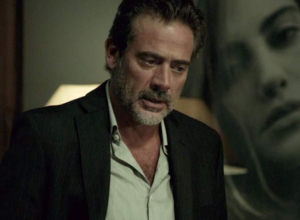 And Farrell is terrific as the brooding, swarthy man who's unaware of the passions he's stirring up. Where this goes is creepy and intense, as John seems to think that he can pick whichever woman he likes. But he's badly underestimating them. Somebody is committing increasingly gruesome and elaborate murders and the FBI don't know where to begin with tracking down the suspect. A team, led by special agent Joe Merriweather, decide that they have no choice but to enlist a veteran doctor named John Clancy, whose psychic abilites allow him to see things that no-one else can see no matter how much detective work they do. He has been living a life of solitude for the last two years after his own daughter died, but agrees to help for the sake of his old friend Joe. Unfortunately for him, this case is more than a match for his powers because their serial killer is constantly one step ahead of them. Clancy soon deduces that they are looking at somebody with psychic skills far superior to his own, and that the FBI agents are little more than flies running towards Charles Ambrose's sprawling web of death with each move. It's been five years since the last Harry Potter movie, and J.K. Rowling has been busy. Not only has she shepherded her two-part sequel play to the West End, but she has also written the screenplay for this spin-off prequel, which is set some 70 years before Harry was born. The American setting puts a fresh slant on her elaborately imagined wizarding world, and the film has enough lively humour to keep things entertaining, but the movie itself is thin and derivative, never quite engaging the audience with its magic. In this alternate reality, 1926 America has forbidden all magical creatures out of fear of terrorist attacks taking place around the world. 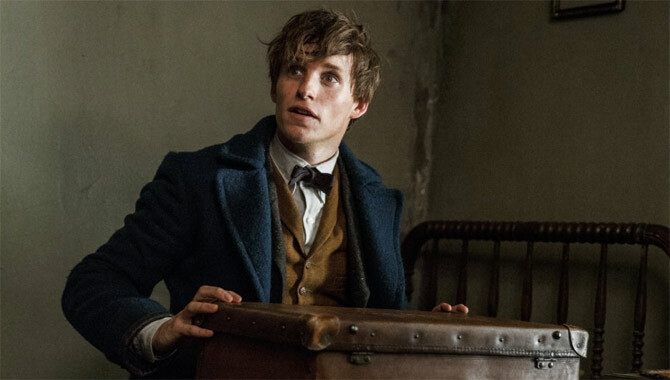 Then an expert in these beasts, the cheeky nerd Newt Scamander (Eddie Redmayne) arrives in New York with a suitcase full of them. He's on some sort of mission, which is immediately interrupted by three escaped critters, drawing in hapless wannabe baker Jacob (Dan Fogler) and witch detective Tina (Katherine Waterston). Joined by Tina's breathy sister Queenie (Alison Sudol), this rag-tag team is trying to recapture Newt's escaped creatures when they run afoul of aggressive wizard enforcer Graves (Colin Farrell), who's working for American's magical President (Carmen Ejogo). But there's something more seriously nefarious going on in the city. 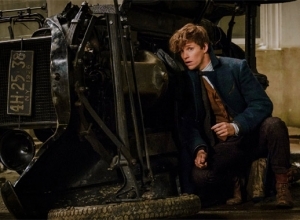 Newt Scamander is a wizard who's always had an interest in monsters and wild, unworldly creatures. Newt inspects as many different species of Beast that he can and keeps some of the rarest ones in order to preserve them and keep them from harm's way whilst also ensuring they themselves don't cause any of the chaos they could so easily cause. It's 1926 and the wizarding community is under threat. Whilst most muggles (No Maj's) don't have any idea that wizards and witches actually exist, a small yet powerful few are all too aware of them and their powers. The New Salem Philanthropic Society is headed by a tough woman named Mary Lou Barebone who wants to make sure that all wizarding kind is exterminated. Get a taste of Irish talent this St. Patrick's Day. In celebration of St. Patrick's Day, we recognise some of the world's top Irish actors and the impact they've had on the Hollywood film industry. The list could go on forever of course, but these are just a few whose performances on the big screen have stuck with us. Happy St. Patrick's Day everyone! Today (March 17th) is the day that the Irish celebrate the life of the Patron Saint of Ireland, usually by drinking Guinness and wearing silly hats with shamrocks on. It's not a holiday very well understood to people outside of Ireland and, indeed, even less so outside the UK. 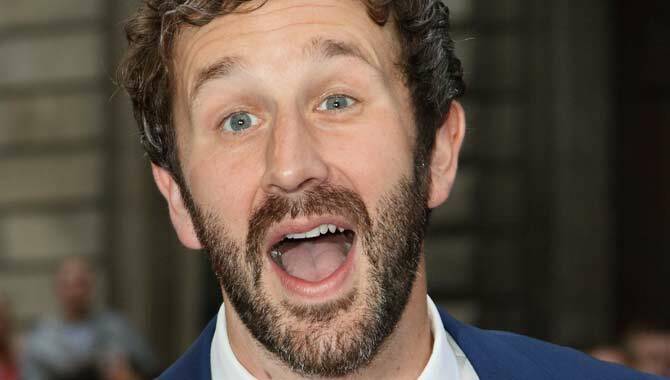 However, we've decided to weigh in on the festivities by honouring some of the world's favourite Irish people - namely, actors that have risen to Hollywood stardom. Throwing a solid Hollywood cast into a surreal arthouse satire, acclaimed Greek filmmaker Yorgos Lanthimos (Dogtooth) makes his English-language debut with a bang. This is a blackly comical parable about how it feels to be single in a society that only values couples. With its two-part structure it almost seems like two movies mashed together, exploring the topic in ways that are smart and revelatory, and utterly deranged. And the strikingly gifted actors bring it to life beautifully. It's set in a remote hotel on the Irish coastline, where the recently divorced David (Colin Farrell) has gone to find a mate. Single people here have 45 days to find their perfect partner, or else they're transformed surgically into an animal of their choosing. David has opted to become a lobster, but is determined to find a wife. He watches as one guy (Ben Whishaw) fakes nosebleeds to appear more like a young woman (Jessica Barden). So David pretends to be something he isn't, but is caught by the hotel's imperious manager (Olivia Colman). He escapes into the woods, where he joins a desperate band of loners led by a fierce warrior (Lea Seydoux). There he falls for a woman (Rachel Weisz) who is short-sighted like he is, but romance is forbidden among the loners. The filmmakers are inventively exploring some very real issues in society, which makes the story ring eerily true, no matter how relentlessly odd it gets. The script's action sequences sometimes feel a bit contrived, but they add to the characters' nagging sense of desperation as they're stuck in a world that simply won't accept them as they are. And it helps that the actors dive in without hesitation. 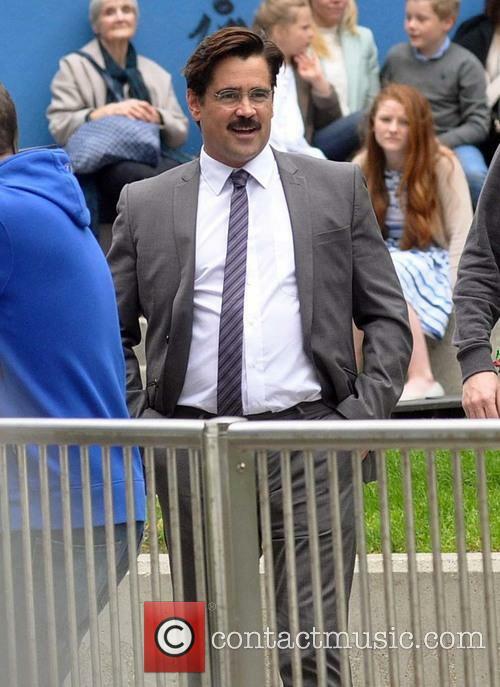 Farrell has gained weight to play the middle-aged David, who had a happy life before being plunged into this nightmare. He's very easy to identify with, both in his awkward interaction and as he boils over in rage. Weisz adds a lusty, razor-sharp intelligence to her role. And Colman quietly steals the movie with her deadpan performance as the godlike hotel manager. Sometimes this extreme satire feels rather on-the-nose, but it's also a powerfully provocative exploration of the way society forces people to comply, marginalising anyone who refuses to join the status quo. And Lanthimos is gifted at using comedy and emotion to deepen the characters and themes, digging beneath the surface while telling a story that's simply impossible to predict. So in the end, we're almost taken aback at the way all of this has wormed its way under our skin, revealing things about ourselves we thought we had suppressed. Especially the way we value or dismiss people around us based on factors that are utterly irrelevant.